European shares rise higher as markets players kept the focus on Italian politics and spending plans. 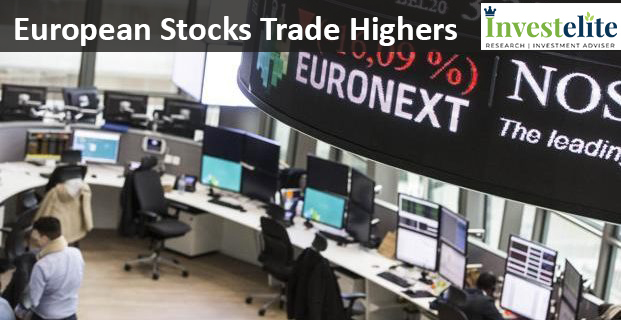 The pan-European Stoxx 600 was 0.3% higher with almost every sector in positive territory. France’s CAC was up 0.3% and Britain’s FTSE gained 0.2%. One of the Italian newspaper reported today that the government is planning to lower deficit from 2.2 % in 2020, to 2% in 2021, from an expected 2.4% next year. Though the spending plans are much higher than what the previous government planned, the willingness to decrease the deficit in the coming years has lifted the euro. The common currency rose 0.3% against the dollar to $1.15 following the report. As a result, Italian borrowing costs were also lowered.